The only site and newsletter backed by 67,000 AAP pediatricians! When it comes to getting protein into your child’s diet, you don’t have to get into a power struggle or give in to the daily chicken nugget diet. There are lots of protein-rich alternatives for picky eaters. Here are some things about protein that you may not know and some ideas to make mealtimes easier. New video: Is your baby hungry or full? In this new video, you'll learn how to understand, recognize, and respond to your baby's hunger or fullness cues. You can practice responsive feeding when breastfeeding, bottle feeding and when providing solid foods. on what you can do as a parent to help your child achieve and maintain a healthy weight. A question and answer session will follow. Registered participants have a chance to win a free copy of Dr. Hassink's new book, Achieving a Healthy Weight for Your Child: An Action Plan for Families, published by the American Academy of Pediatrics. 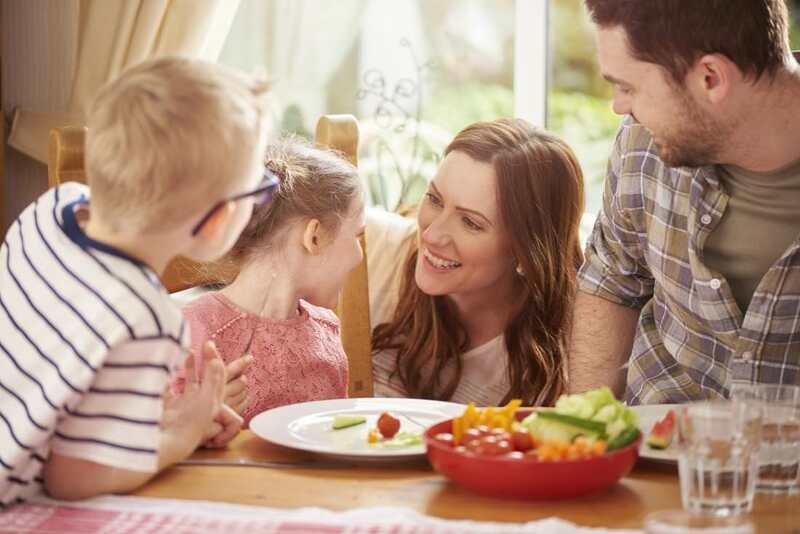 Join HealthyChildren.org and leading childhood obesity expert Dr. Sandra G. Hassink for a free informational webinar on what you can do as a parent to help your child achieve and maintain a healthy weight. A question and answer session will follow. Registered participants also have a chance to win a free copy of Dr. Hassink's new book, Achieving a Healthy Weight for Your Child: An Action Plan for Families, published by the American Academy of Pediatrics. A recent study provides new insight into how language impacts childhood obesity. The researchers found that the parents of obese children were more likely to use direct statements to prevent them from consuming calorific treats. A new study investigates language and its role in childhood obesity. Now that 1 in 3 children in the United States are either overweight or obese, every parent is concerned about their child's eating habits. Understanding how and why some children become obese is urgent. The way that parents behave and interact while feeding their children is known to be important, but the story is complex. Restricting food can actually, paradoxically, increase how much a child eats overall. Researchers recently set out to investigate a part of this conundrum: the role of language. They wanted to understand how the way in which we speak to our children about what they should or should not eat impacts dietary choices. It's a given that the way in which a parent speaks to their child has an impact on their behavior. And, according to the latest research — which is now published in the Journal of Nutrition Education and Behavior — this also applies to eating habits. Lead researcher Dr. Megan Pesch, who is a developmental and behavioral pediatrician, believes that the current study is the first to examine "the impact of parental direct imperatives in restricting a child's intake of unhealthy food." Currently, there is little advice available on how to speak with children about their dietary choices. As Dr. Pesch explains, "So many of the guidelines are focused on what not to do. There's a lot of emphasis on what parents shouldn't be doing and what doesn't work." The caregiver-child pairs were alone in a room and were presented with different foods, including chocolate cupcakes.In the study, Dr. Pesch and team — from the University of Michigan C.S. Mott Children's Hospital in Ann Arbor — videotaped 237 mothers (or primary caregivers) and their children, who were aged 4–8. The caregivers were all from low-income homes, a demographic known to be particularly at risk of childhood obesity. There is a stigma attached to the parents of obese children. Often, people assume that they simply allow their child to eat whatever they want, whenever they want. This study demonstrated that the reverse was true. As Dr. Pesch explains, "They were attentive and actively trying to get their children to eat less junk food." However, the scientists noted a subtly different linguistic approach. According to their findings, the caregivers of obese children were 90 percent more likely to use direct language, such as "Only eat one" or "You're eating both of those? No! Don't! Oh my gosh." The mothers of children at a healthy weight, however, were more likely to use indirect phrases, such as "That's too much. You haven't had dinner." This is the reverse of what might be expected; a more direct, firm message is thought to be most effective when talking to a child regarding discipline, or sleep, for instance. "Indirect or subtle statements don't seem to work as well in general parenting. Direct messages are usually easier for kids to interpret and understand where the limits are. But there's more sensitivity around how to talk to children about eating and weight." The authors note a number of limitations to the study. For instance, the caregivers knew that they were being filmed as part of an experiment, which could have altered their behavior. Also, only individuals from lower socioeconomic backgrounds were involved, and the new findings may not apply to other demographics. As this is the first study of its kind, there will need to be much more work before firm conclusions can be drawn. Only then can solid advice be given to parents. Dr. Pesch and her team plan to continue this line of investigation. "We hope," she says, "to find better answers to the ultimate question of what parents should do to help set their child up for healthy eating long-term." Even though it’s winter, ChopChop is putting the finishing touches on their spring issue. And they still have a few ChopChop aprons left! Order a one-year subscription to this wonderful magazine and get a ChopChop apron, all for just $35. The gift set makes a great birthday or anytime gift for anyone who loves to cook--and anyone who wants to learn how. Order now. Hungry for more? Follow them between issues for behind the scenes photos, recipes, events, and more on Facebook,Twitter, Pinterest, and Instagram. This is a great family magazine that promotes families cooking together nutritious meals in their homes. This is a very nice service of the Strong4Life Service of Children's Healthcare of Atlanta. Try it out. If you have a food or nutritional question regarding your child(ren}'s healthy diet, just ask an Expert. Please let us know how they do.